FARMINGDALE, N.Y., April 4, 2018 – Personalized skincare technology startup EpigenCare Inc. announces it is a winner of the Johnson & Johnson Innovation competition for innovative skincare technologies. The Digital Beauty QuickFire Challenge was intended to discover some of the future-forward digital beauty solutions, particularly in personalization tools that would help consumers make better informed skincare regimen decisions. EpigenCare’s CEO and co-founder, William Lee, presented at the Johnson & Johnson Innovation, JLABS (JLABS) open innovation ecosystem in South San Francisco, CA. The presentation included information on the forefront of science and technology — epigenetics, blockchain, and artificial intelligence. Lee emphasized the problem of consumers not knowing whether a skincare product is truly working for them, and that static genetic variants in current personal genomic tests cannot be altered by product ingredients. The presentation introduced a solution via epigenetics, which can determine the active or inactive state of a gene’s function. 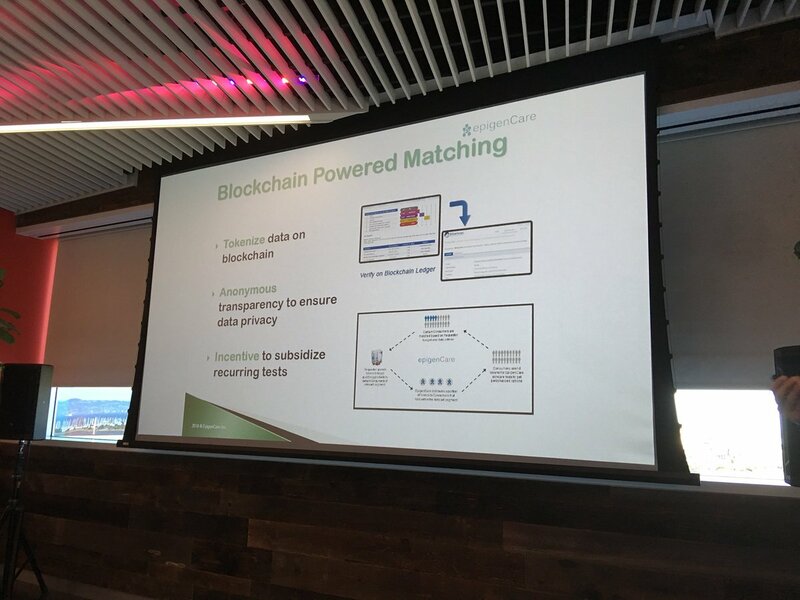 EpigenCare presents its personalized skincare and blockchain privacy protection technologies at JLABS in San Francisco. The New York-based company will be releasing a direct-to-consumer skincare test later this year that can capture the current state of one’s skin profile by sequencing for epigenetic markers. These markers are correlated with quality indicators such as aging, elasticity, moisture, pigmentation, and more. EpigenCare’s complementary digital platform subsequently connects products from skincare companies to consumers on a personalized basis through a matching algorithm, based on the ingredient’s epigenetic intervention on the tested markers and their functional pathways. In order to ensure consumer privacy, blockchain technology will be deployed to manage data in a responsible manner. Consumers will be able to track that their data was used for their own benefit. This will drastically mitigate the perceived intrusiveness often associated with personal tests involving DNA, which consumers will self-collect directly on their own skin through a non-invasive adhesive method. EpigenCare also plans to implement machine learning with its epigenetic data, which serves as a scientifically grounded training source, to be combined with photo imaging of skin for an artificial intelligence based personalization method. The QuickFire Challenge awarded up to $50,000 in grants, access to a network of experts and mentorship, residency for up to one year at a JLABS location, with admission to test the product with consumers at the Johnson & Johnson Consumer Experience Center (CxC). EpigenCare was one of two winners that split the prize. EpigenCare Inc. is a privately held personal epigenomics and digital biotechnology company based in New York. The company offers a direct-to-consumer epigenetics test to assess the dynamic state of one’s skin type and quality. Subsequently, capture of the dynamic quality allows for actionable results from the analysis report such that optimized product options are recommended to the consumer. EpigenCare’s epigenetic technology is supported by EpiGentek Group Inc. Both investors and consumers can learn more about EpigenCare and its personalized skincare solutions at https://www.epigencare.com. For media contact, please e-mail media[at]epigencare.com.